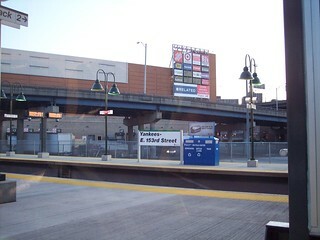 The Yankees - E. 153rd Street station is a new station opened in 2009 primarily serving Yankee Stadium. 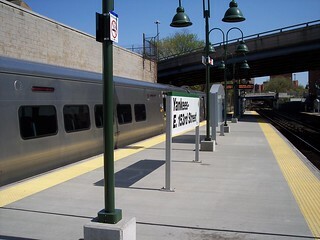 All three Metro-North lines serve this station on game days. The Harlem Line Yankee Clipper sits in the station on the right.